Campsites and holiday parks: What’s the difference? It’s an innocent question. We’re not here to judge, only to provide answers to all your backpackery questions. 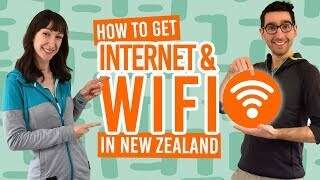 Campsites and holiday parks appear to be so similar in New Zealand it makes you wonder which type of accommodation is worth staying in while you are travelling throughout the country. And does it even matter? You can pitch a tent or pull up a campervan in both campsites and holiday parks. So what gives, New Zealand? Why not call them the same thing?! Calm down. Holiday parks and campsites actually differ when it comes down to the prices and facilities. So take a look at the guide below to decide which type of accommodation you would rather be in to sleep under the stars. Why stay in a campsite or a holiday park in New Zealand? If you plan on camping your way around New Zealand, then it’s a good idea to know where you can and cannot camp. Without a certified self-contained campervan, with a toilet and water system, you cannot “freedom camp” meaning you cannot camp where ever you like. You run the risk of getting a fine if you are caught camping in the wrong place. Read up more on legal freedom camping at What it’s Really Like to Freedom Camp in New Zealand. 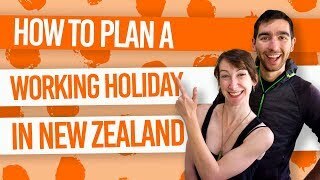 For us backpackers who are sleeping in our cars, pitching a tent, staying in budget accommodation, or have a small campervan without a toilet, then staying in a campsite or holiday park is the legal option in New Zealand. New Zealand has its fair share of privately-owned campsites and Department of Conservation (DoC) campsites. Facilities are more basic compared to what is found in a holiday park. Check out more about what to expect from a campsite in Camping in New Zealand. Think of holiday parks as your more luxurious campsite. They have more facilities of a higher quality, plus more accommodation options. Accommodation options range from tent sites and powered sites to cabins and motels. Check out the full list of accommodation options available on our page: Accommodation Guide to Holiday Parks in New Zealand. Communal kitchen – a large kitchen with cooking hobs, fridge, boiling water dispensers, hot and cold water with sinks. Some holiday parks may have microwaves, kettles, toasters, ovens, freezers and dining areas. Communal toilets and showers – divided into male and female blocks with hot and cold showers, toilets and sinks. Be aware that some showers are metered so you will need coins or tokens to use them. Laundry rooms – equipped with coin-operated washing machines and tumble dryers. Dump station – for campervan waste and sewerage. Facilities for the disabled – will have the international symbol of access. Let’s be honest, the price is usually the deal-breaker for any budgeting backpacker. So what is the difference in price between campsites and holiday parks? Campsite prices range between NZ$0-15 per night per person. You are paying for your little patch of grass that you wish to camp on for the night, as well as the facilities. The more facilities a campsite has, the more expensive it is, but at NZ$15 it’s hardly that expensive. As for holiday parks, prices depend on what type of accommodation you are staying in. We cover the average accommodation prices in Accommodation Guide to Holiday Parks in New Zealand. Because a tent site is the only comparable accommodation-type between campsites and holiday parks, expect a tent site in a holiday park to cost NZ$15-50 for two people. That can be pretty cheap if travelling in a couple or a group, plus, having the comfort of more facilities. Now you know the difference between a campsite and a holiday park in New Zealand! Get your read on with more articles about camping in the greatest country on Earth.